Hoovering is a wonderful way to ensure day-to-day cleaning of the carpets, but if you want to get rid of all the dust, allergens, and bacteria, you should consider professional carpet cleaning. Done properly, it will provide sanitation and extend the life of your carpets. So, let our experts take care of your floor coverings – they will eliminate any dust particle, leaving them shining and smelling fresh. We are Finchley based professional cleaning company and we are specialising in providing high-quality carpet cleaning services for over seven years. We serve hundreds of commercial and domestic customers in Finchley, as well as in the neighbouring areas. With thousands of successfully completed projects behind us, we have learnt the most effective business strategies and cleaning methods. We have committed ourselves to continuous improvement and progress, but customer satisfaction has remained a fixed, never-changing goal for us. In order to achieve it, we aim for perfect results all the time. Our trusted cleaning technicians are highly disciplined and trained, they have the needed skills and experience to meet any challenge. They are systematic in their work, responsible and reliable. Before treating your carpet with any detergent, they will plan the cleaning session, taking into account the type of carpet, the existing stains, etc. They will then hoover and steam clean the carpet, extracting almost all the moisture from it. After just one cleaning session, your carpets will be clean, their colours will be brighter, and they will smell fresh. All dust, bacteria and allergens will be removed. 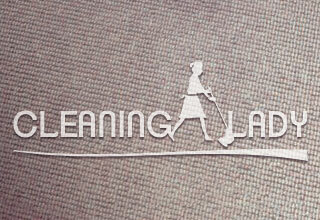 To remain sustainable, our company conducts the carpet cleaning with eco-friendly detergents. They contain fewer chemicals, so they are safer for the environment and for your health, too. This is especially important if your children are younger, or if you have pets. Our carpet cleaning service is available throughout Finchley, Palmers Green, Tottenham or Totteridge and can be booked on any day of the week. For your convenience, we have extended working hours and sessions during weekends come with no additional charge. To book a carpet cleaning session, fill in our online form or get in touch with us by phone. Share all your requirements with our representatives, so that you can receive an accurate quote.